The Boeing 377 Stratocruiser is a four-engine long-range Airliner with a capacity of maximum 114 passengers produced by the US-American manufacturer Boeing Company. 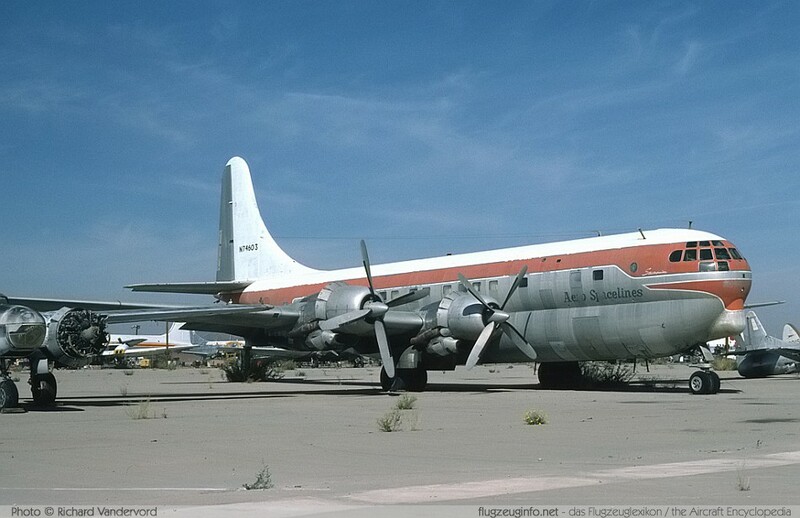 The Boeing 377 Stratocruiser is a commercial development of the Boeing Model 367 C-97 Stratofreighter / KC-97 Stratotanker transport- and tanker aircraft, which itself was based on the Boeing B-29 Superfortress (Model 345). 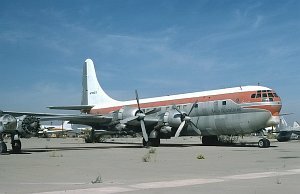 After operation as an airliner, many Stratocruiser were converted to transport aircraft configuration. Nine of them were converted to Pregnant Guppy, Super Guppy and Mini Guppy for the transport of oversize cargo by Aero Spacelines.